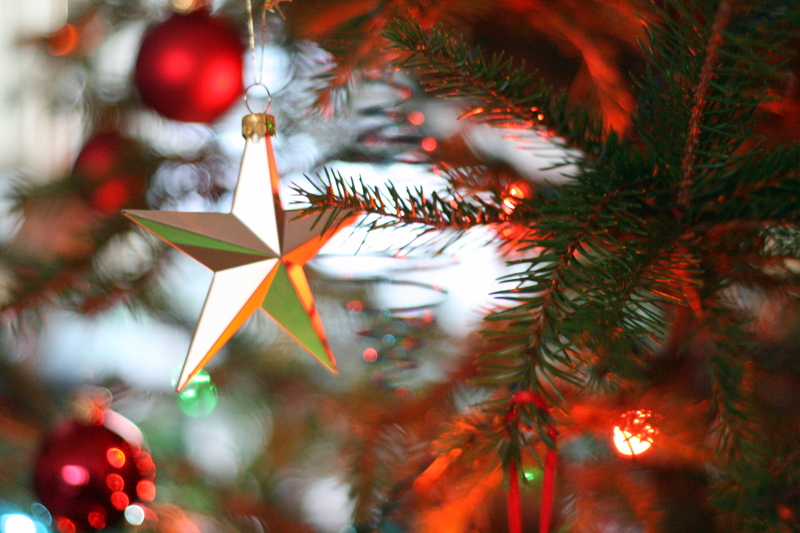 Christmas kicks off early here in Branson: the lights are already twinkling around town, and holiday shows and parades have begun. Here’s the best of the season’s fun that’s already starting. Every evening from 5 – 11 p.m., the Promised Land Zoo is transformed into a Christmas world, with a 2 mile drive-thru of lights. 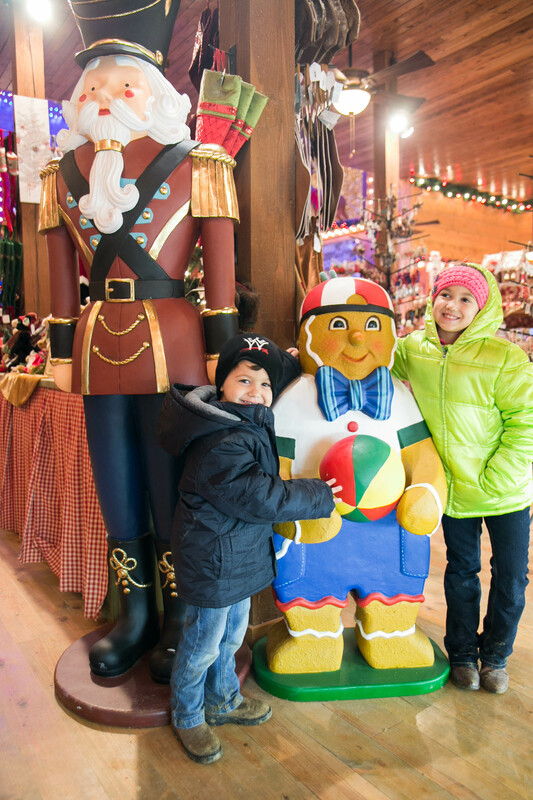 At the end is the Candy Lane Courtyard, complete with displays, Santa along with his reindeer, a live nativity petting zoo, and hot chocolate. 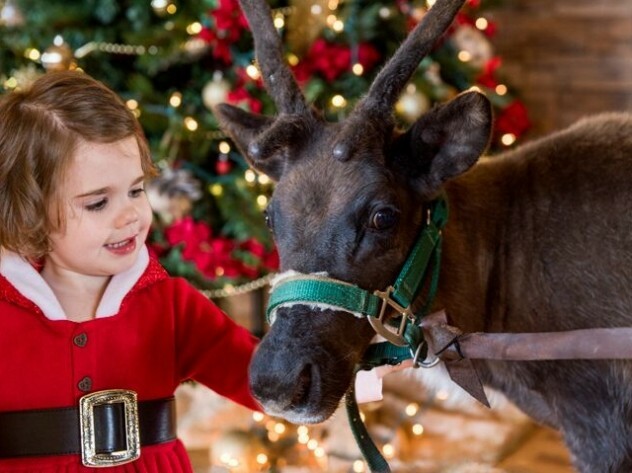 Take the tram tour for a chance to meet and feed animals as well as Santa’s reindeer! 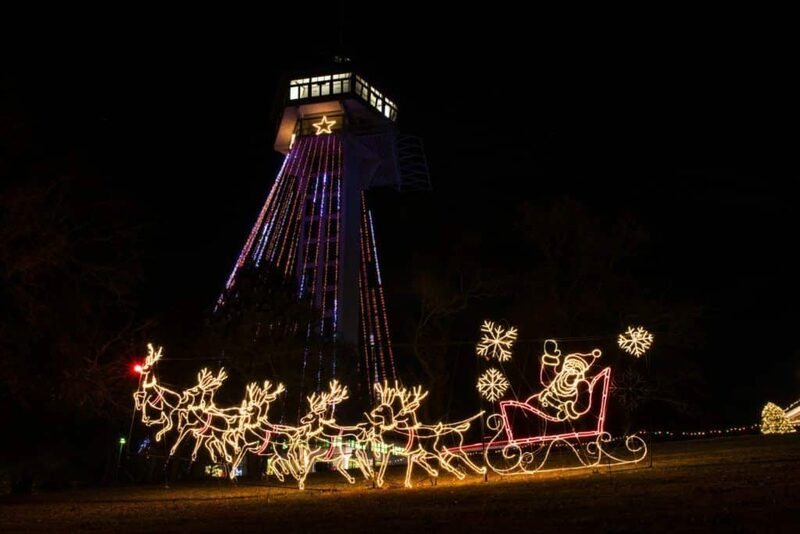 A new event at Shepherd of the Hills this year has thousands of lights sparkling from the streets, buildings and trees of the homestead. 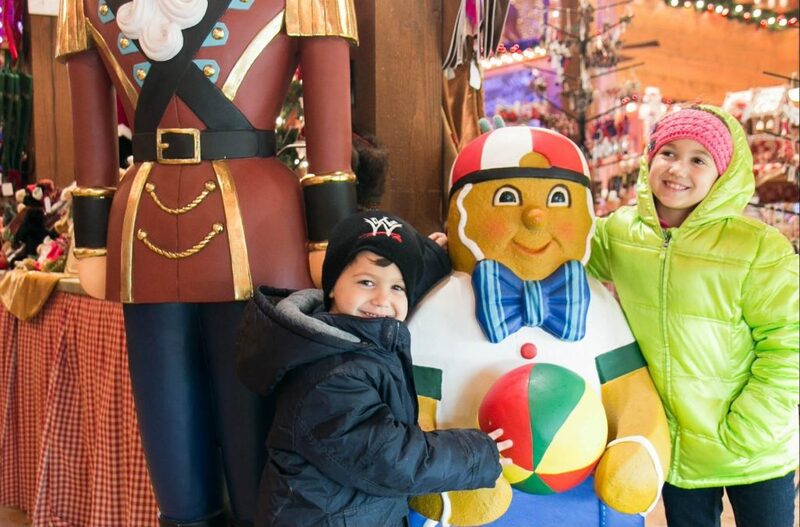 Young and old can enjoy Jingle Junction, with miniature golf, a barn hay maze, a petting zoo, Christmas crafts and more, followed by a visit with Santa. Two new shows are also presented at the Homestead: a dinner show, A Shepherd’s Christmas Carol, and a breakfast show, Santa and Pancakes. For more info, visit the Homestead’s events page. The Polar Express comes to Branson! On a trip to the North Pole to pick up Santa, hot chocolate and cookies are served while the book, “The Polar Express” is read aloud. When Santa joins the ride, he visits each car, giving all the passengers a special gift. Christmas carolers and the Hobo also make appearances aboard the train. A complete schedule of departures can be found on the Scenic Railway’s website. 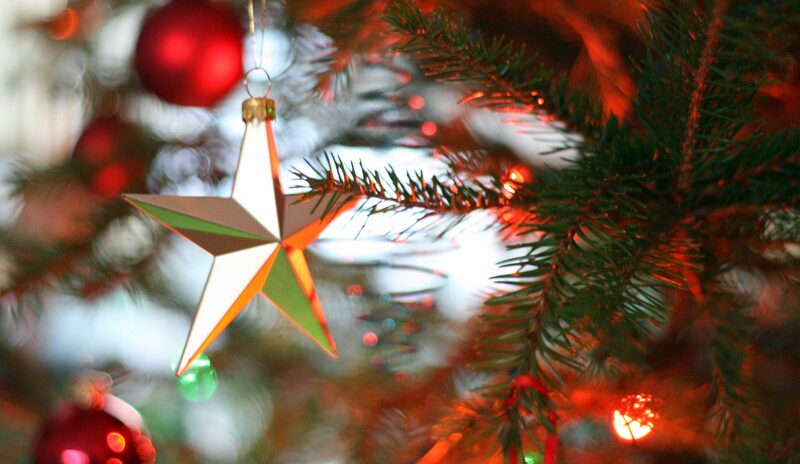 Beautiful, one-of-a-kind twinkling Christmas trees and wreaths will be on display for all to enjoy. Sales of the trees, donated by area businesses, benefit Christian Action Ministries (CAM), which operates food pantries all across Taney County. 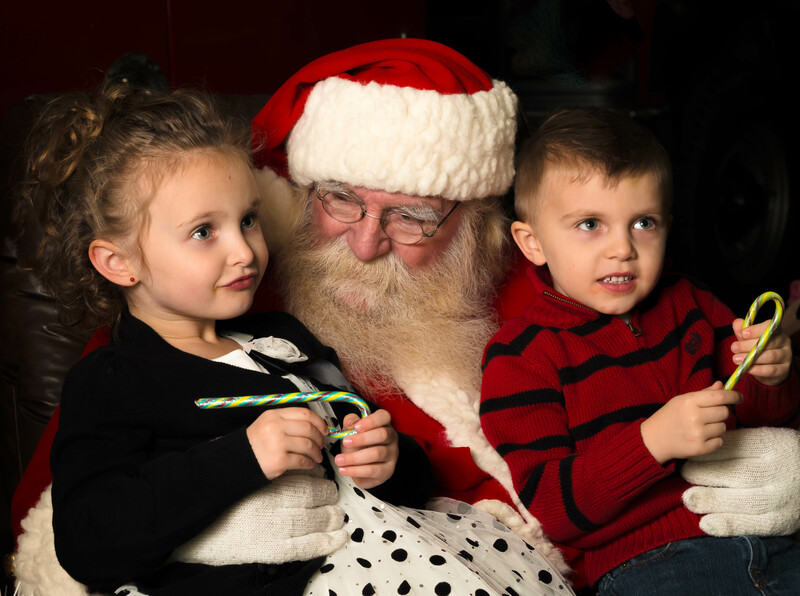 Special events, like cookies and milk with Mrs. Claus, and cookie decorating are scheduled as well. Check out the website for a complete list of activities. A portion of Branson’s Bass Pro is transformed each Christmas season into a magical winter wonderland. 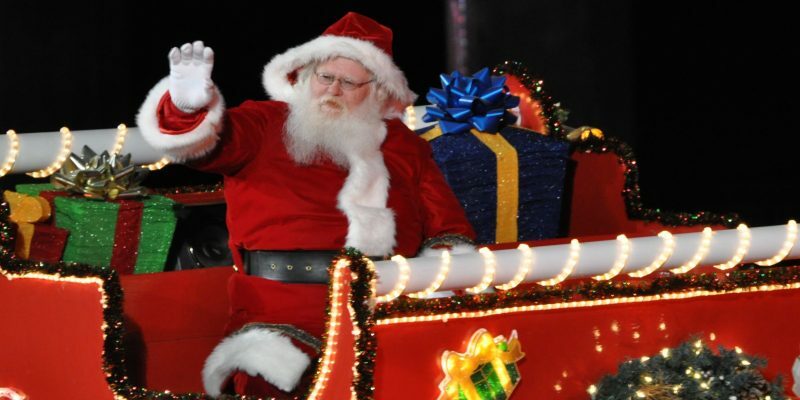 Santa arrives Saturday, November 10th at 5 p.m. for a tree lighting and Wonderland unveiling. Free cookies and hot chocolate will be offered, as well as a free craft project (decorating a Santa stocking). A $25 Bass Pro gift card will be given away every half hour. Free games, crafts, and activities will be offered every day of the Wonderland. 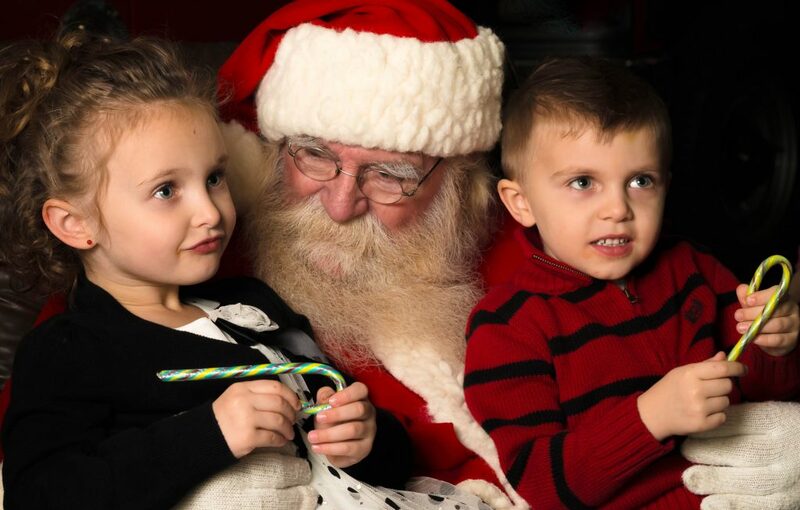 You can also have your photo taken with Santa and receive a complimentary print. Check out a complete schedule of activities at the Bass Pro website.